The remains of a child were one of the four sets of remains recently recovered by investigators, according to a report form the New York Post. Police were searching for missing Jersey City woman Shannan Gilbert when they unearthed the remains of four women - all in their 20s - in December. The women were all prostitutes listed on Craigslist, reports CBS station WCBS. Gilbert has still not been found. Four additional bodies were recently discovered. The remains of "a baby or a child" were found in this series of remains, a source told the Post. These other bodies have yet to be identified. Police, who are expanding their search for victims, have suspected they may be chasing a serial killer. They have not named any suspects in the case. Police are scouring credit card receipts, telephone records, old traffic tickets and even applications for clamming licenses in the hunt for a possible serial killer. 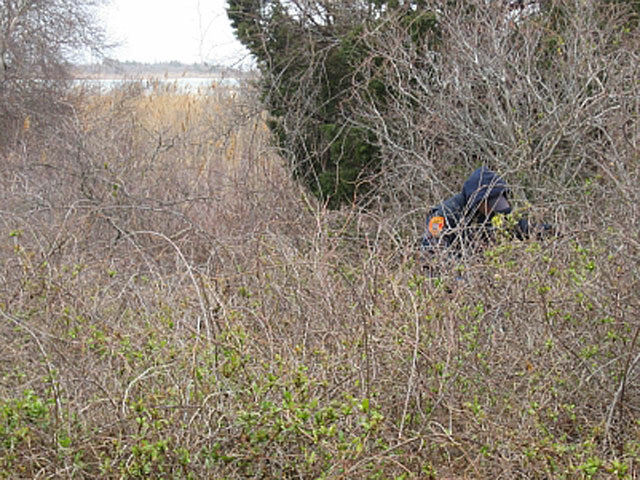 Locals on Long Island are worried that more bodies could turn up. High school teacher Vincent Benazzi says, "Whether or not it's a dumping ground or whatever they want to call it, it's just a sick feeling."